We are the student of Masters of Business Administration of The Millennium University, Dhaka-1217, Bangladesh. We are conducting a survey concerned with using MOBILE PHONE. We are using telephonic interviewing is computer-assisted. The questionnaire is entered into the computer in such a way that the questions come on the screen in proper sequence. If the appropriate next question is determined by the answer to the last one, the computer can be programmed to ensure that this happens. Interviewers read the questions and either type in the answers or used light pens to mark answers on questionnaire paper. This procedure has the advantage of controlling the questionnaire and having the data entered in the computer directly so that at any time the results can be summarized quickly. A project is ready for data collection; interviewers are assembled for training at the telephone interviewing site. Trains in this case may involve instruction on using computer as well as on the project itself. A supervisor can observe the work of individual interviewers on a master screen that shows what is on a given interviewer. In telephone surveys the interviewer is typically given a list of numbers to call, or numbers are dialed on the basis of random-digit dialing. If the interviewer in the former case is also given the name of the individual at each number to whom he/she is to speak, there is no problem, as the interviewer simply asks for that individual by name. Unfortunately, names are seldom available, and the interviewer must select the individual to be interviewed at the number called-usually a USING MOBILE. 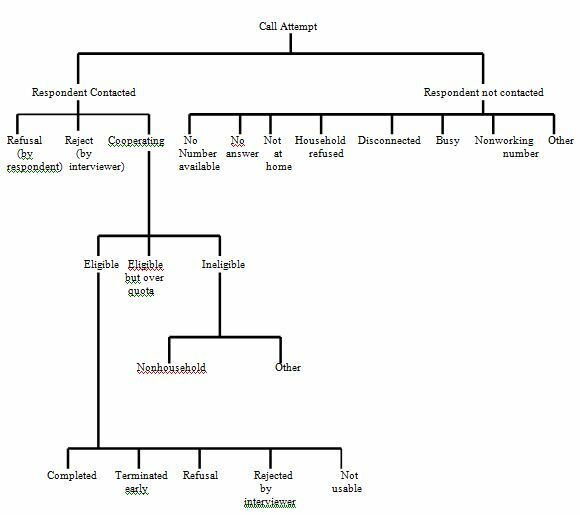 If a sample is to be obtained that is representative of the population, some random or systematic method of selecting the person to be interviewed is required. All procedures for selecting the individual to be interviewed pose a problem: the more sophisticated they are, the more time they take, and the more likely they are to lead to a refusal by the respondent. 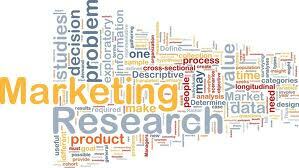 By telephonic survey refusal rates vary from project to project and may range up to 25 percent. Since refusals are often the result of personality and mood, it can be argued that they will occur randomly and will not bias results. Moreover, refusals are a matter of degree and of circumstances such as convenience at time of call. A first step in coping with non response is to develop accurate information of the problem. Surprisingly, standard measures of non response (or response) have not been established in the field. In the telephone surveys the interviewer is topically given a list of numbers to call, or numbers are dialed on the basis of random-digit dialing. If the interviewer in the former case is also given the number of individual at each number to whom she is to speak, there is no problem, as the interviewer simply asks for that individual by name. We are the student of Masters of Business Administration of the Millennium University, Dhaka-1217, Bangladesh. We are conducting a survey concerned with Using Mobile. Will you please give us few minutes to answer some questions? We assure that tour answers will be kept completely confidential. 1) Do you use Mobile? a) Expensive b) No need to use c) None of these. 4) Which company’s no. do you use? 5) Are you satisfied by using this provider’s mobile no.? 6) How is the frequency of your using mobile? 7) How many members of your family use mobile? 8) How much money do you spend for mobile in a month? 9) Is there any negative side of using mobile? 10) Do you think that at present over all condition of mobile such as call rate, frequency, facility, service are? a) Good b) Very Good c) Excellent d) Satisfactory e) Not Satisfactory f) Bad g) Very Bad. 5) Are you satisfied by using this provider’s mobile no. ? Section No- 12, Mirpur, Dhaka-1216. Address : DBH Finance Corporation Ltd.
102, Kazi Nazrul Islam Avenue. Total Numbers DialedIn the first reported calculation the researchers are apparently defining responses as any contact made with the sample telephone numbers. The second calculation apparently considers response as a contact with the appropriate individual in the house, and the third calculation defines response as a completed interview. The only way that methods one and two can be said to reflect a true rate of response is to assume that those who were reached by phone, but with whom interviews were not completed, were the same as those with whom interviews were completed. As has been shown earlier, such an assumption is dangerous; one can as well assume the no answers busy signals, and not-at-homes are similar to those with whom an interview was completed.